Reject roughness, we pursue the details, abandon gorgeous, we pursue the utility. Kygear is not just a seller, but also an experimenter or a qualified customer. Our workers will wear the lenses to test and submit questions to the engineering department until every detail goes well. After finishing, we found oa-kley sunglasses customers who have been wearing the glasses for 5 years or more to test, they said the lenses fit well and no pressure for their eyes. We will continuously take the most importance to your using experience, each pair of lenses will undergo strictly inspection before shipping. 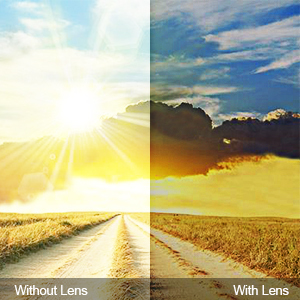 Considering the harm of the UV Rays, glare and dazzling light, all our lens are polarized lens, mirrored coating with color, except the HD clear lenses( transparent lenses) that own high light transmission, it's necessary for the darker environment. Otherwise, Kygear is not affiliated with Oa-kley, Inc., the usage "Oa-kley" is just to describe the replacement lenses. All of our lenses will experience more than 10 processings inspection before packing, we promise the lenses fit your frame well and will be used durably. 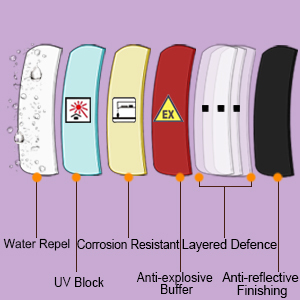 All the color lenses are polarized and with different view tints. Choose the right color fitting for you, give eyes variable visual feasts. Mohon maaf, produk Kygear Anti-fading Polarized Replacement Lenses for Oakley Holbrook Sunglasses sementara ini sedang habis.